The ELD mandate has received a mixed response from trucking, but its emphasis on data integration could catalyze an industry-wide digital transformation. In the final days of 2015, the Federal Motor Carrier Safety Administration (FMCSA) sent shockwaves throughout the trucking industry when it amended its regulations to mandate the use of electronic logging devices (ELDs) for nearly all hours-of-service (HOS) recordkeeping. Though hardly presenting a unified front, the industry received the mandate quite poorly, viewing it first and foremost as government overreach. Truck drivers protested. The Owner-Operator Independent Drivers Association (OOIA) filed suit against the FMCSA (the United States Court of Appeals for the Seventh Circuit ultimately ruled in the government’s favor). Tempers flared. 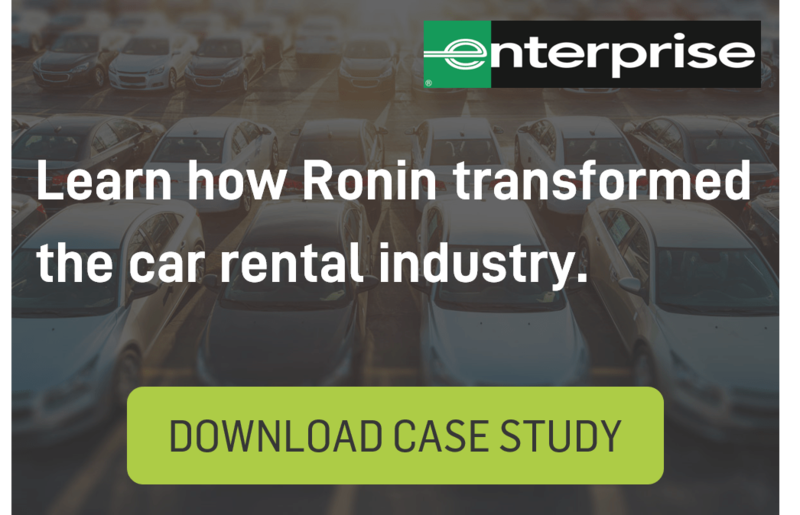 This unrest diminished slightly after the mandate’s second implementation phase went into effect on April 1, 2018, but the ongoing rollout remains a point of contention among various transportation industry stakeholders. As we approach the first anniversary of the phase two implementation (December 18, 2017), it seems appropriate to take a look back and assess this landmark moment in American trucking. By way of background, the ELD mandate doesn’t impose any new regulations on trucking activity, instead it provides regulators with a powerful means to enforce existing rules. Federal Hours of Service (HOS) regulations dictate that truckers may only drive 11 hours within a 14-hour window, after which they’re required to take a 10-hour break. Further, truckers must take at least one half-hour break during each shift, and may work no more than 70 hours during any eight day period. For decades, it has been standard practice to manage HOS compliance with paper log books. Truck drivers keep detailed records of their driving activity while out on the road and submit these accounts to their employers once they return to their home office. However, the FMCSA believes this practice is too prone to manipulation, as the trucking industry’s distance-based compensation structures may incentivize drivers to alter their HOS records. The ELD mandate represents the Administration’s attempt to prevent such “flexible” recordkeeping. In short, ELDs automate driver logs by collecting information on drivers’ mileage, vehicle movements, and duration of engine activity. 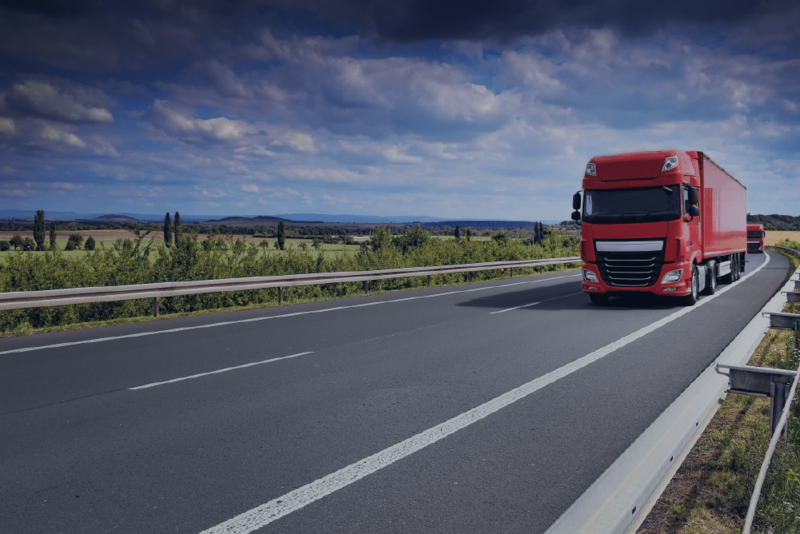 The devices are hardwired to truck engines, and neither drivers nor company managers are able to alter ELD records without providing an express justification. 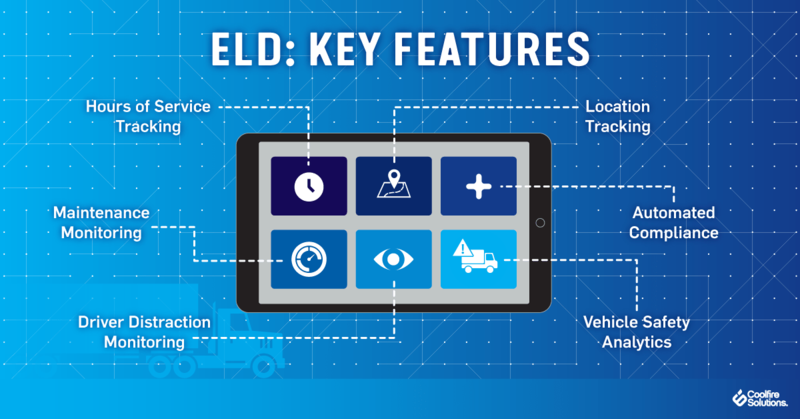 When an alteration is made, the ELD retains a copy of the original entry, providing regulators with a comprehensive audit trail of all a driver’s past activity. ELDs have actually been available for quite some time, but few trucking companies had voluntarily implemented them prior to the FMCSA’s mandate. Given their drivers’ negative views of ELD, trucking companies were understandably hesitant to adopt the technology — particularly given what remains an ongoing driver shortage. This driver’s frustration reflects a fairly broad consensus among truck drivers. One survey found that 79 percent of drivers believe the ELD mandate has decreased safety in the industry, 75 percent have felt compelled to speed as a result of the mandate, and 72 percent have felt more tired on the road since the mandate went into effect. As most drivers see it, each of these adverse effects stems from the inflexibility of the ELD mandate. Whereas drivers used to have the leeway — if not the legal authority — to take breaks according to their energy levels, they now must either respect the letter of the law or risk being cited for an HOS violation. Encouragingly, regulators have shown a willingness to engage with these complaints, albeit while characterizing the mandate’s first year as a success. Though it’s far too early to assess whether the ELD mandate has delivered the benefits the FMCSA promised it would — 26 lives saved, 562 injuries prevented, and 1,844 crashes avoided every year — what’s clear is that it has effectively incentivized truckers to adhere to the letter of the law. Per FMCSA data, between May 2017 and August 2017, 1.30 percent of HOS inspections resulted in a citation. From December 18, 2017, to April 1, 2018, this figure slowly dropped to 0.80 percent. By May 2018 — the second month after the mandate’s second implementation phase, citations had dropped even further (to 0.64 percent), a downward trend that has continued in the months since. All told, the FMCSA estimates that violations of HOS rules plummeted 48 percent during the one year period covering the six months before and the six months after the mandate’s initial December 18, 2017, implementation. FMCSA Administrator Ray Martinez believes this decrease in HOS violations will benefit stakeholders throughout the trucking industry, especially over the long term. That said, when speaking at the American Trucking Associations’ Management Conference & Exhibition at the end of October, Martinez conceded it may be time to reexamine existing HOS rules. Nowhere is the need for further regulatory fine-tuning more apparent than in trucking companies’ response to the ELD mandate. Occupying the space between drivers’ exasperation and regulators’ enthusiasm, trucking companies have yet to come to a clear consensus on the mandate’s merits — or lack thereof. In one survey, 51 percent of fleet operators agreed that mandatory ELD use has — or eventually will — improve their FMCSA Compliance, Safety, and Accountability score. However, only 47 percent of those surveyed believe the ELD mandate is good for the industry at large, suggesting some fleet operators view their burnished records as little more than a symbolic victory. Trucking companies are similarly split on the impact the mandate has had on their drivers. In a separate survey, 60 percent of fleet operators claimed the mandate — specifically its forcing drivers to “stop, rest, and run legally” — has improved road safety, whereas 40 percent claimed it has compromised safety for drivers and noncommercial motorists alike (largely for the reasons articulated by the truckers quoted above). Fleet operators find more common ground when it comes to evaluating truckers’ response to the mandate, though, as 69 percent agree that ELDs have not improved their drivers’ job satisfaction. On a more encouraging note, many trucking companies have expressed optimism about the long-term potential of increased connectivity in their fleets. If nothing else, the first year of mandated ELD implementation has illustrated the immense value that real-time tracking, reporting, and analytics can have for companies enterprising enough to lean into the emerging technology. Regardless of one’s opinion of the FMCSA’s ELD mandate, it has the potential to catalyze an industry-wide digital transformation. Transportation and logistics in general are complex industries, that will unquestionably benefit from the integration of data-driven insights. And yet, despite this clear opportunity, many stakeholders continue to cling to outdated management systems and even manual processes. The current lack of end-to-end predictive and real-time data visibility not only precludes significant improvements to industry-wide efficiency, but makes HOS compliance all the more difficult. For instance, without real-time situational awareness, trucking companies run the risk of assigning a high-priority load to a driver who would be legally required to take their 10-hour break before they complete the run. The most effective way to prevent these kinds of mistakes — and drive operational efficiencies across the board — is to fully integrate all of one’s disparate systems (and all of the data contained therein). By relying on a “single source of truth,” transportation companies can implement solutions to optimize the last mile of delivery, simplify their supply chains, and ensure that the drivers, shippers, and receivers with whom they interface are always on the same page. Only with integrated systems and real-time access is true predictive transport visibility possible. And only with such visibility will the truly industry-disrupting last mile delivery and logistics solutions be realized. Though it appears unlikely, Martinez and the FMCSA may ultimately face so much pressure from drivers and (select) trucking companies that they opt to either repeal or significantly revise the ELD mandate. But regardless of what transpires in the months and years to come, the trucking companies that proactively embrace technology and innovation will be best-positioned to outpace the competition. CAN SITUATIONAL AWARENESS TECHNOLOGY SOLVE THE LAST MILE?